I don’t know about anybody else reading this, but I never dreamed of being a writer when I was growing up. In my early teens, I was desperate to be an archaeologist, or more specifically an Egyptologist, of the swashbuckling, Indiana-Jones mould. After that phase, I toyed with the idea of being an astronaut, a fashion designer and an artist. The turning point for me in deciding to pursue a legal career was witnessing, first-hand, the everyday impact of injustice which seemed to flow from the lack of knowledge or inability of an ordinary layperson to traverse the legal system. For it is large, opaque and intimidating to the majority of people who never have to enter into its fold; people sometimes find that the thought of having to give evidence in court, or more generally to seek justice for wrongdoing, is so off-putting that it is more trouble than it is worth. For these reasons and more, I developed a genuine desire to learn how to represent others, or, to put it another way, to speak on behalf of those who cannot speak for themselves. Given the recent changes to public legal funding in the UK, I feel there is even more need for people to be heard and for them to have adequate representation. For one reason or another, the legal world was not all that I hoped it might be and I found myself becoming increasingly disillusioned. For, an idealist lives inside me, who should be more of a realist. That way, seeing the powerful corporations become more powerful at the expense of others would be less of an ongoing affront. As it is, life events intercepted, allowing me to take stock and consider the direction I was taking. I resented this, at first – the stubborn mule inside me rebelling against the enforced break which motherhood demands, as an example – but once I settled into it, I realised that my son had given me more than the gift of his presence in our lives. His advent had given me the space to think. In those peaceful quiet times (few and far between, as any mother will tell you) I was able to really be introspective. My conclusions were interesting. For years, I had proclaimed myself ‘free as a bird’, never one to follow the pack. What a load of tosh. I had followed the pack, meek as a lamb, all the way through my secondary and higher education. I had followed through with years of legal training and handed over more years of my life to various employers. Yet, I found that I did not regret those years, for they taught me much in the way of diplomacy, strategy and tolerance. Essentially, though, I had restricted myself to using only the logical part of my brain, allocating no time for any creative spirit. I found that there were stories swirling around there, in the depths of my mind, which might need to be told. Oh, go on, then, I thought. Life is for living. Yay, for self-publishing and self-belief! 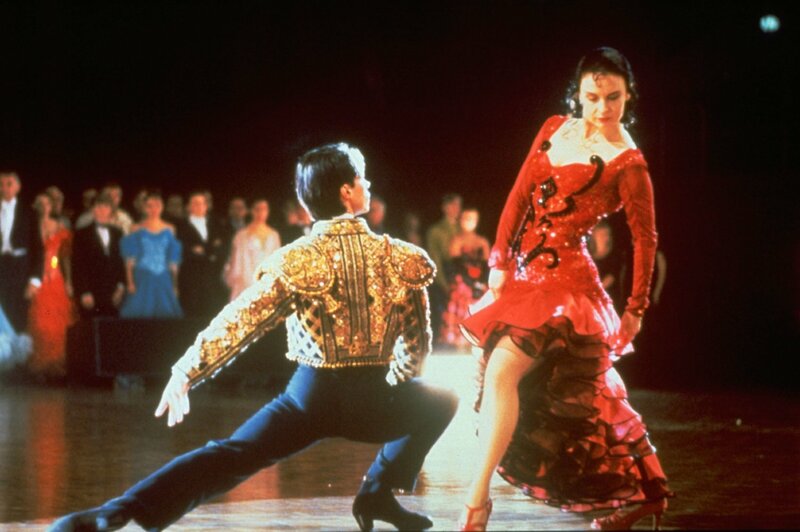 Anyone else reading this who would like to make changes but are fearful of rejection or failure, I refer you to that most excellent 90’s film, Strictly Ballroom: a life lived in fear is no life at all! If something is hard-fought, or hard-won, then it will be all the sweeter in the end. If there is negativity along the way then it is to be expected, chalk it up to human nature (in my case, I was exceedingly surprised to find that this can come from fellow writers: did your mother never tell you that you never get ahead by bringing others down?). But remember, for every negative person, you will find another five who are warm-hearted and positive, wishing you well. That is the very best of humanity. What a weekend! I have a lovely Canadian friend who uses the phrase ‘gong show’ to describe chaotic situations – not necessarily bad ones – but frenetic all the same. It seems an apt description of my weekend, that’s for sure. Firstly, we headed over the border into Scotland to visit my father-in-law on his 80th birthday. He’s a lovely man, who in his formative years was one of the sharpest, most generous people I’ve ever met. From the first, he welcomed me into his home with a healthy dollop of charm and an open heart, which I will never forget. I hope that, when my son brings someone special home to visit, I will do the same. Unfortunately, due to a long illness, my father-in-law is now suffering from dementia and is living in a care home. The carers do a fabulous job and we are extremely grateful to them for the kindness they show him. We broke our journey at my family’s home in Northumberland and then took a train along the east coast, past Lindisfarne, up to Edinburgh and beyond. It’s a scenic journey but a bit of a long one, which prevents us making the trip every week, as we would like to be able to do. It’s always bittersweet, but we had a wonderful time while we were there. Secondly, an interesting phenomenon happened on Thursday night. 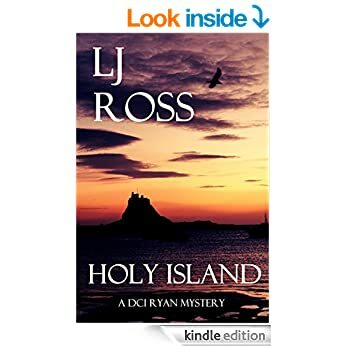 I happened to look online and noticed that ‘Holy Island’ had been reduced in price and selected for inclusion on Amazon’s ‘Kindle Fever’ book promotion, which ran over the Bank Holiday weekend and continues until 10th or 11th May. Well, I thought, that’s nice. Then, I carried on with my day. Flash forward a few hours and I looked very much like the Doc in ‘Back to the Future’. Great Scott! For anyone reading this who decided to buy my book, I’d like to say a big ‘thank you’ for giving it a try. It has been said many times elsewhere and by authors across the world that you can’t hope to please everyone, but if reading ‘Holy Island’ has given you a few hours of decent entertainment then I have achieved my original goal.